This book attempts to solve the Samaritan riddle that is the focal point of the Dunn Debate. Dr. James D. G. Dunn’s first book, Baptism in the Holy Spirit(1970), claims the New Testament says baptism in the Holy Spirit always occurs simultaneously at conversion-initiation. In contrast, classical Pentecostals contend that Spirit baptism always occurs subsequent to conversion and is evidenced by tongues-speaking. They mostly cite Acts 8:4-25 for “subsequence.” It says Philip preached to the Samaritans and they “believed,” but they did not receive the Spirit until Peter and John came days later and laid hands on them. Dunn says these Samaritans and Jesus’ 120 Jewish disciples in Acts 2 were not “Christians” until they were baptized with the Holy Spirit. Zarley agrees with Pentecostals about subsequence in both cases. 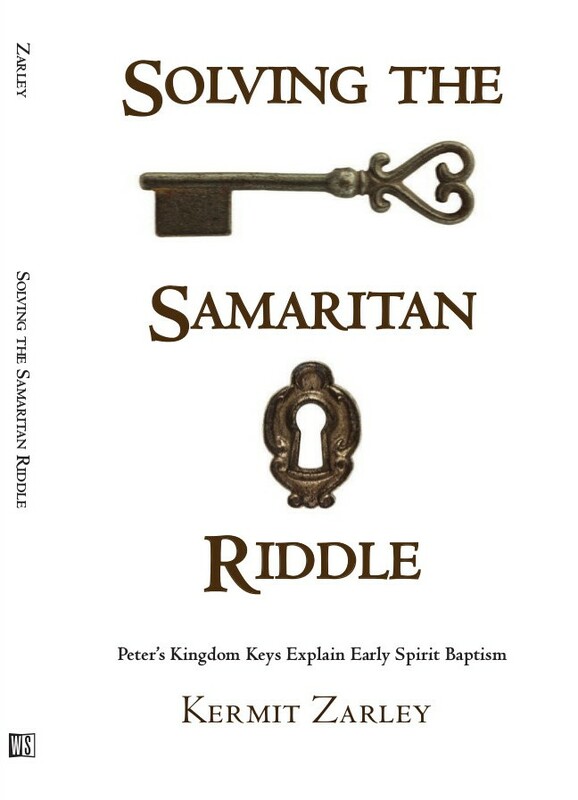 But he claims these Samaritans and the Gentiles in Acts 10 were Spirit baptized due to Peter’s presence, using his metaphorical “keys of the kingdom” Jesus had promised to give him in Matt 16:19. After Peter opened kingdom doors for all three of these biblical classifications of people, all people afterwards are Spirit baptized simultaneously upon conversion, as Paul teaches and Dunn says, except for the Ephesians anomaly in Acts 19:1-7.